It’s getting down to brass tacks. There is now only 2 more weeks until the PASS Summit. There’ve been a few posts over the last few weeks on the upcoming summit (1 , 2 , 3 , 4, 5) aimed at trying to rally those without plans to attend to get registered. These have also been aimed at trying to inform on the things to take advantage of while you are there. 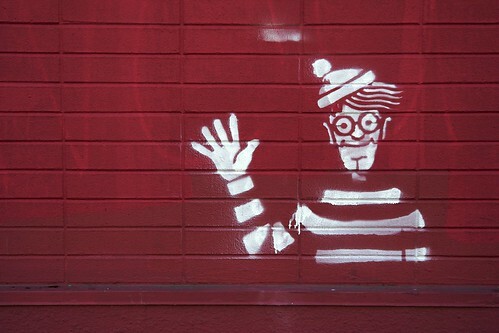 We all know Waldo. But in this case Waldo will be someone a bit different. In this case Waldo is you and me. The PASS Summit is a chance to meet and catch up with the people in the community who you follow through twitter or who’s blogs you read. This year my list of people to meet is much smaller since I nailed a lot of that list last year. And many of the others I caught up with at the SQL Saturday events over the last year. So I am mainly looking to catch up and build up some of the friendships I’ve already started. I missed plenty of names. I’m going to blame lack of additional names of the need for brevity and this headache. This list is no where near complete… let’s try to complete it. To me this next bit seems like a silly question but I am going to ask it anyways. Who’d be interested in meeting me and hanging out some at the PASS Summit? I’m curios if there is anyone that would be interested in chatting about the posts I’ve written either between sessions or after hours with a couple long islands. Leave a comment below and also start thinking about the people you’d like to meet. Maybe reach out to them to see where they will be and if they’ll have time to chat with you as well. Of course, I would obviously recommend getting… registered! It’ll make catching up with people all the more easier. If you need some additional reasons to attend outside of this post, I wrote a post on some of the reasons I attend the PASS Summit. Thanks for the list…Me too! This being my first year. But not yet sure where do you get to meet these ppl after the sessions get over. Are there any pass activities scheduled around dinner in the evening? You can count me in. This will be my first PASS conference so I am excited and appreciate your list. Thanks. Hoping to help people make the most of PASS. I spent too many evenings in my hotel room my first year. And missed out on a lot stuff in the expo hall because I just didn't know.